During our previous trips to Istanbul’s “Little Gaziantep” – where we enjoyed the special techniques of Turkey’s culinary nerve center at the excellent Hizmet Kardeşler – we were tempted by what lay across the street. 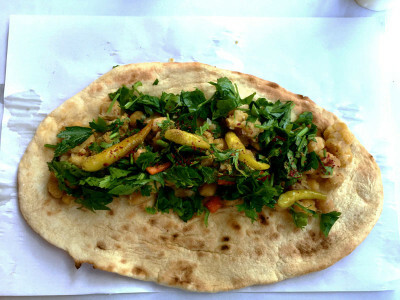 It was an alluring sight scarcely seen in Istanbul: the simple yet scrumptious nohut dürüm. The wrap of chickpeas, parsley and spices nestled within a formidable section of tırnaklı ekmek flatbread is the specialty at Hamo’nun Yeri (Hamo’s Place). Run by a family with roots in the Gaziantep district of Nizip, the restaurant’s name comes from the family patriarch. “He was a wonderful person, so when he passed away we decided to name our place after him,” said Tufan Gül, who runs the eatery alongside his brother Mehmet, uncle Ali and other assorted relatives, all of whom routinely pop in and out of the small kitchen. Hamo never made it to Istanbul, but his son – Tufan and Mehmet’s father – left Nizip and migrated to Turkey’s largest city, where he opened a shop in the city’s famous Egyptian Bazaar, selling spices imported from home. 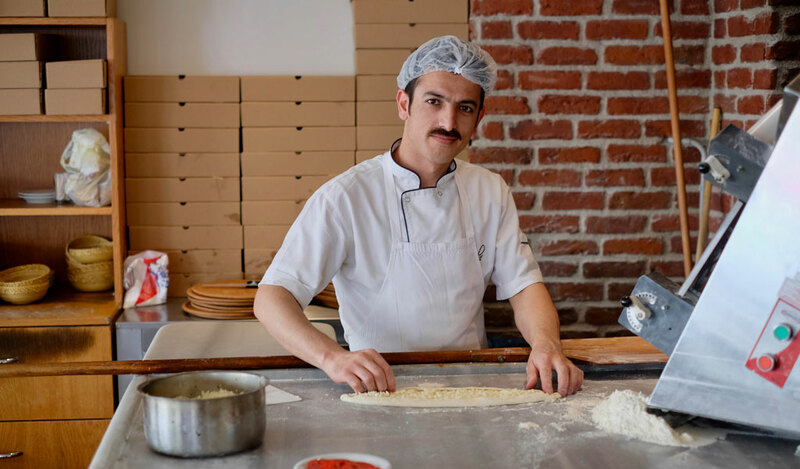 That shop has since closed, but the Gül brothers opened Hamo’nun Yeri in 2009 in the periphery Güngören district’s neighborhood of Köyiçi – what we like to think of as “Little Gaziantep” because of all the migrants from that area who have settled here. Ali arrived recently to work at the family restaurant after his cellular phone shop in Gaziantep went out of business. “What luck, we’re out of chickpeas!” Tufan informed us apologetically on one evening visit to Hamo’s Place. He went on to explain that though his restaurant is open from early morning until well into the evening, nohut dürüm is a breakfast staple in Nizip, and the Nizipli folks who have since moved to Istanbul often line up out the door as early as 6:30 in the morning, hungry for a taste of home. Having learned our lesson, we set out for Güngören again the next morning, making our way through its steep hills with a bit of difficulty in the stifling humidity. Glancing at our surroundings, we noticed a Syrian shawarma joint here, a roasted chicken shop there, both quite visible with their Arabic-lettered storefronts. 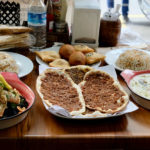 As nearly 2 million Syrians have sought refuge in Turkey amid the country’s ongoing bloody civil war, Turkey’s southern neighbors have settled throughout Turkey, bringing their cuisine along with them. 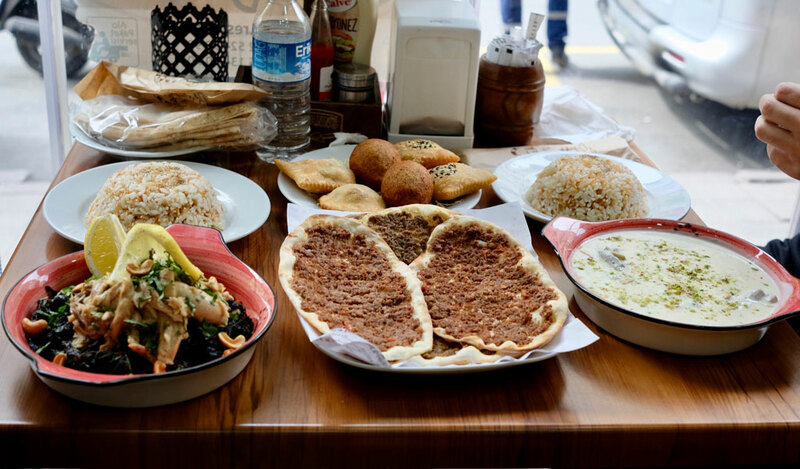 While a cluster of Syrian restaurants has settled in the Aksaray neighborhood over the past couple years, these eateries have recently begun to spread to outer districts like Bahçelievler, Bağcılar and Güngören. We arrived at the more appealing hour of 9:30 that morning, and while we didn’t have to wait in line, things were still in full swing. Mehmet and Ali set us up with a nohut dürüm, the long-awaited prize that we had missed out on the previous evening. The dürüm consists of partially mashed chickpeas that have been cooked long and slow until they are meltingly soft and are then spread across the center of a fresh slice of tırnaklı ekmek. They are immediately covered in a tapestry of fresh, zesty parsley and a smattering of chopped red peppers. Diners can opt to dress their dürüm with condiments found on the table, including sumac, pepper flakes, cumin and biber turşusu, spicy green pickled peppers that are a must for those not afraid of serious heat. 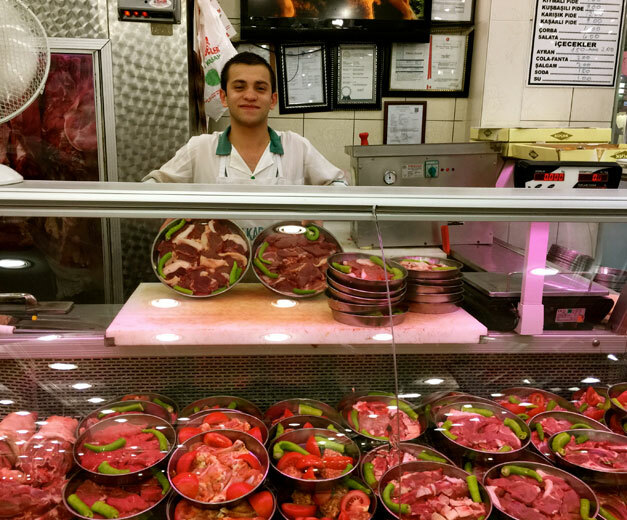 The tırnaklı ekmek was so impossibly hot and fresh that we had to ask Tufan about it. He told us that their bread comes directly from a baker also run by the family and located just a few doors down. 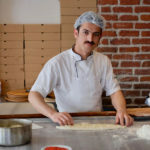 Later in the meal we saw Mehmet shuffling back into the kitchen with a small stack hot out of the oven, ensuring that every dürüm receives the best treatment. The Gül brothers take pride in their craft and don’t cut any corners. The smooth, rich chickpeas caressed the comforting bread and made an excellent partner with the parsely and ever-so-slightly sweet red peppers. Since we topped ours with the fiery biber turşusu, we needed a couple glasses of salty, refreshing ayran to wash it down. This breakfast kept us full for hours – well into lunchtime – a simple yet serious meal that fuels a legion of former Nizip residents every morning. 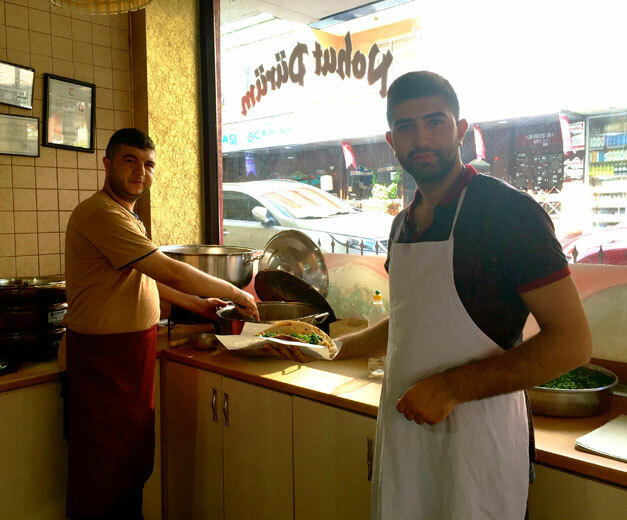 The Gül brothers, with their warm, attentive demeanor, are serving a taste of home, one that everyone is welcome to enjoy – as long as they get there early enough.